Gillian Murphy in the Cloud & Victory Ballerina Tee. Photo courtesy of Cloud & Victory. Whether you've been lucky enough to watch American Ballet Theatre's Gillan Murphy dance Swan Lake's Odette/Odile in person or you're one of the 100,000+ who've watched her performance on YouTube, the magic happening on stage is obvious. Even off stage, it's easy to see why the role is such a perfect fit. Supremely graceful with her long limbs and quiet nature, Murphy certainly looks the part of Odette. 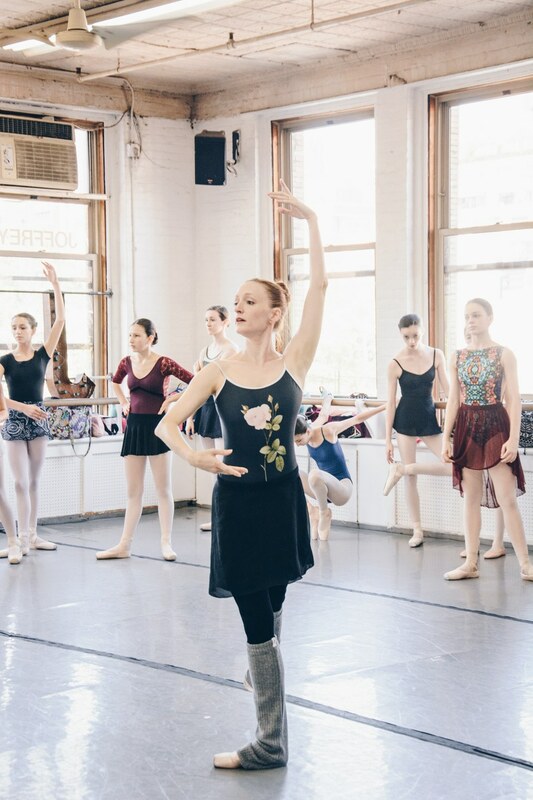 Yet there's also an Odile-like spark in her eyes as she speaks, one that was even more noticeable while teaching a younger generation the famous black swan pas de deux during Cloud & Victory's master class in New York City last month. After we learned how to master Odile's swan arms (the trick is to relax your elbows while still keeping resistance, according to Murphy), we caught up with Murphy for her take on the famous role. 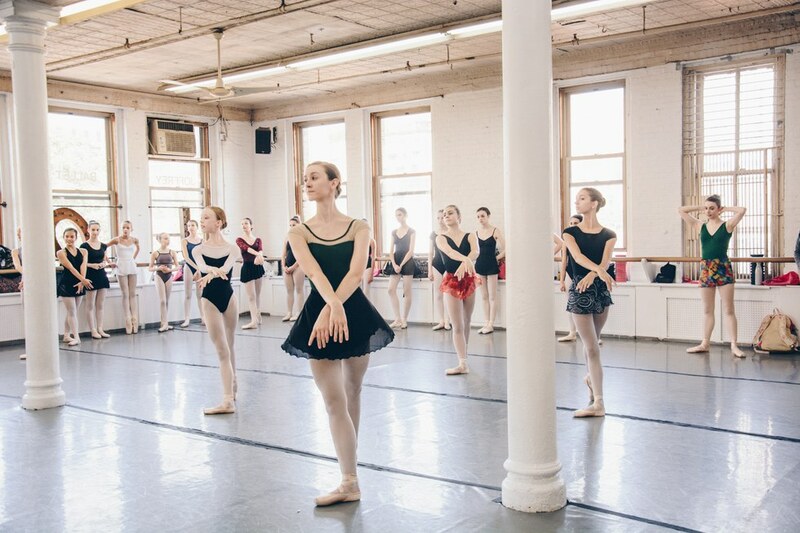 How did you prepare for dancing the role of Odette/Odile for the first time? It's such an iconic role and such a big moment, but it was definitely daunting. I think I was still a soloist, about 21 years old, when I did Swan Lake for the first time. I was preparing it with Marcelo Gomes, and it was our double debut. All of the nerves and the whole experience, we went through it together. It was definitely exciting, and there was a feeling of going out there, and sort of—pun intended—winging it. Over the years, I've learned a lot and I've grown a lot from each performance. Do you have any tips for getting into the characters? The music informs everything I do. I have a completely different approach for the two characters. For Odette, I'm trying to channel everything that's good inside of myself to give her character a vulnerability and pathos that comes with the music. The music that Odette dances to is so sublime, so I try to really respond to that and bring her character to life. She's afraid to let herself go and fall in love, but she is falling in love. That's also giving her hope and strength for the future, that maybe one day she'll break the spell. For Odile, it's a little less complicated. She's wickedly beautiful, and I kind of have a different approach every time I dance it. Once again, the music lets you know that she needs to be seductive and dynamic. I think of her weaving a web for Siegfried to fall into; it's really a game for her. I have to bringing out a whole different side of myself, which hopefully people don't see too much of in real life. It's something inside that's a little more calculating and manipulative. She's the opposite of Odette, who has a heart of gold. Murphy teaching Black Swan in Cloud & Victory's Black Rose leotard. Photo courtesy of Cloud & Victory. Does one of those characters come more naturally to you? How do you make sure that you're preserving enough energy to get through a big variation, particularly Odile's? There's an art to pacing one's self. For instance, in the black swan pas de deux, when Odile enters, she needs to come out with a whole lot of energy. I'm already exhausted at that point, but there needs to be a lot of charisma and power with that entrance—you can hear it in the music. And then the music pauses for a moment and it becomes more of an adagio, and that's a moment to take bigger breaths and not push energetically—not really relax, but make it more about the épaulement or seducing him with the hands or the eyes. It takes time and experience to find where you can pull back a little bit so that you can finish strong and feel good. Another good place to take a breath is the bows. You can stay in your final position for just another second longer and people will start clapping, and then you slowly get to b-plus. Then you bow graciously, and then you can go off. But if you just run into the bow immediately and run off immediately, you haven't given yourself enough time. A group of students practicing their swan arms. Photo courtesy of Cloud & Victory. I get a bit nervous for any show, just because you never really know what could happen. How do you combat those nerves, or make sure that nervous energy doesn't get in the way of your performance? The way I get myself out of that butterfly feeling is to really immerse myself in the music and in the character. So I'm going to feel whatever Odette is feeling. It's not about 'Is Gillian feeling nervous, or did she not sleep well,' or whatever I personally have going on. For me, on the stage, it's a full immersion into making the most of that moment—and it's such a fleeting moment and art. It doesn't have to be perfect. The idea of perfection, I think, is something to aspire to in terms of how to have more clarity and precision and shapes to our classical lines. But ultimately, when I'm sitting in the audience, I want to be moved. I don't enjoy watching people dance who are just executing steps. I feel dance really has to speak to something deeper within. The choreography is there as a means to that expression and artistry and imagination, not as a be all and end all in itself.